"Washington with its Patriots was not able to make an offer as advantageous as that of the S-400 missile system offered by Russia": according to what the Russian press reports, the Turkish president Recep Tayyip Erdogan declares it to the "Haberturk" tv channel and he also announced: "We have finalized the agreement for the S-400 and we will continue with payments as per contract". The agreement therefore "is underway and we expect the systems to be delivered to us in July". 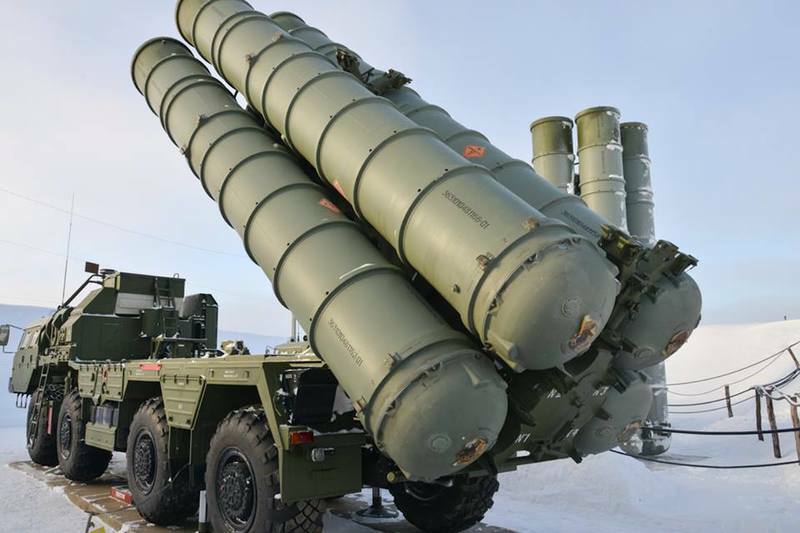 The United States is actively trying to prevent Turkey from purchase the S-400 air defense missile systems from Russia as they could be used to compromise the safety of the Lockheed Martin F-35. Hence the alternative offer of the Patriots advanced by Washington together with the Pentagon's suspension of deliveries of equipments for the F-35 as a sanctioning measure pending Turkey's exit from the agreement with Russia. But today that Erdogan's position is defined, it goes without saying that the decision to maintain the S-400 contract will mean the definitive exclusion of Ankara from the F-35 fifth-generation aircraft program. But in front of those who say that Erdogan's decision will undermine Turkey's presence in the Atlantic Alliance -since the S-400 missiles could not be used in the NATO defense system-, the Turkish President reinforces what was declared yesterday by Chairman of the Committee for Foreign Affairs of the Council of the Russian Federation, Konstantin Kosachev, according to which Turkey is unlikely to be expelled by NATO for its position on the issue. "I believe that the NATO meeting in Washington will not change the position of any of the parties: the debates will continue and Turkey will not leave nor be expelled by the Atlantic Alliance. However, the same 'question and answer' with Washington confirms that Ankara makes itself account of its military and political weight and refuses to be dictated by America". More: the US ultimatum "has nothing to make with the alleged technical incompatibilities between the Russian S-400s and the NATO defense system -Kosachev added. It is the United States that must choose whether to remain allies of Turkey or whether to put friendly relations at risk. Turkey is the most important member of NATO in the Black Sea region. Simply speaking, NATO needs Turkey more than Turkey needs NATO". Erdogan also recalled what was recently stated by NATO Secretary General Jens Stoltenberg: "The general secretary said important things, stating that it is wrong to impose sanctions to the member States of the alliance because we need each other".